This interdisciplinary case study is designed to interest general biology students as well as students of psychology and health studies. 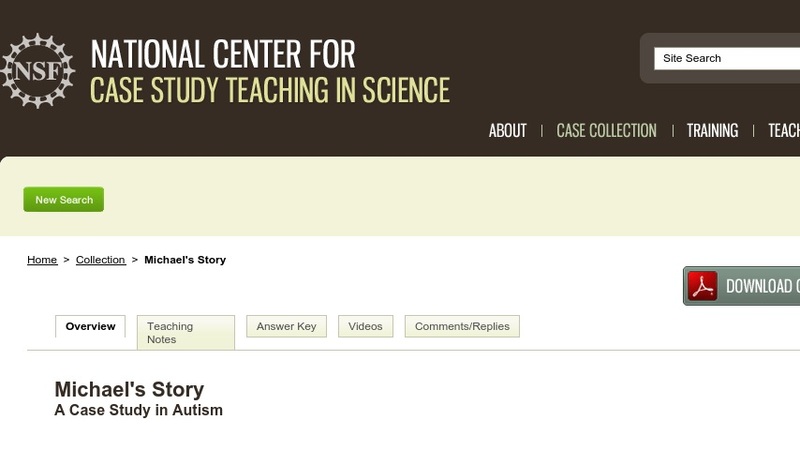 The study introduces us to the Greens, a family with a recently diagnosed autistic child. Students engage in a variety of activities to learn about the possible causative explanation for autism, its diagnosis, and treatment. A final activity is an optional writing exercise exploring the idea that there is intrinsic value in all persons' experiences, including those who are "different."